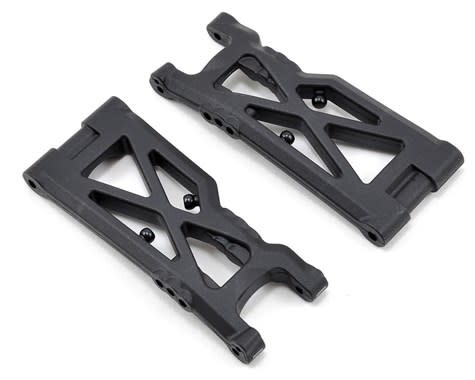 The Yokomo YZ-4 L5 Rear Arms are a great tuning option for high bite tracks. These optional arms are 1mm longer than the standard parts, and were developed for the IFMAR Worlds at Yatabe Arena. 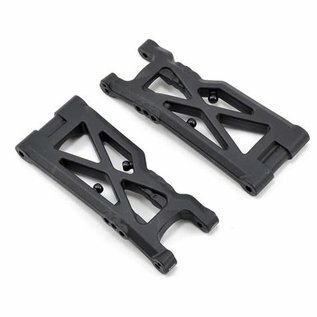 For optimum performance, Yokomo recommends that these arms are combined with the F1 front arms (YOKZ4-008F1), and must be used in combination with the optional rear suspension mounts (YOKZ4-300LRF, YOKZ4-300LRR) to maintain legal track width.